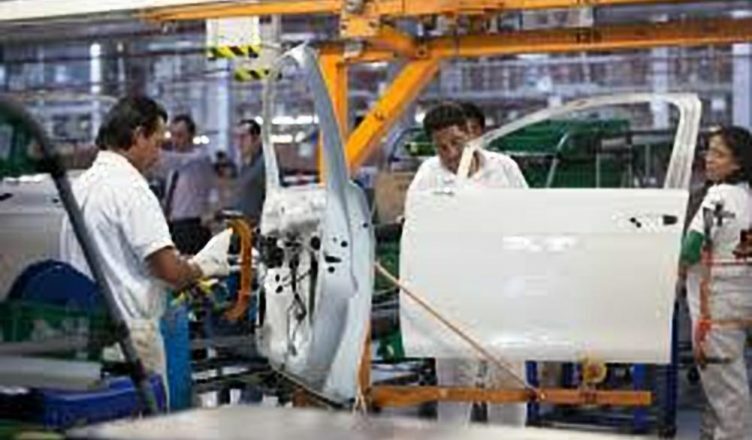 70,000 car workers in Matamoros, Mexico, went out on strike recently shutting down 50 plants. They are striking over a 20 percent wage increase, a $1,700 bonus, a shorter working week, and cuts to union dues. Thousands marched to the city centre of Matamoros, shouting out “Bourgeoisie, get out!”. They have called for all Mexican workers to join them in a national general strike which they are calling “A Day Without Workers”. A section of the carworkers marched behind the banner “The union and company kill the working class”. Workers are organising outside the union, which they detest as an ally of the bosses, there to police the workers in the car plants. They have set up their own coordinating committee, with two delegates from each plant. So far the strike has cost the car companies at least a $100 million in profits. The strike is having an effect on General Motors and Ford assembly plants in the USA, to which the Mexican car industry supplies parts, causing a shutdown in production in Flat Rock, Michigan. The car bosses and the State are replying with lock-ins of workers, putting up physical barriers in order to stop them walking out. Demonstrations are threatened by gun-toting cops, soldiers and sailors. Realising the severity of the situation the newly elected “left populist” President of Mexico, Andres Manuel Lopez Obrador (commonly referred to as AMLO), has responded by stating: “We are looking for conciliation and agreement above all in Matamoros,” he said. “There is inconformity, and they haven’t reached an agreement. It seems the workers have rebelled against their union leaders, and the matter has grown out of control. Although it is not a matter of our direct attention to put ourselves into the life of the unions, we must be respectful if we are looking for a fix and conciliation.” He is counting on the unions to restore order. In the USA, workers are organising to support the strike in Mexico and against the shutdown of their own plants, with plans for a demonstration in Detroit on February 9th. This shows that workers can realise that they have the same class interests, despite borders and despite talk of a Wall. Whilst union leaders spout about forfeiting wage rises and bonuses to “save jobs”, Matamoros workers marched to the border crossing between their city and Brownsville, just over the border in Texas, in a bid to win the solidarity of US workers.